knew it could swim, too? See inside this beginning reader. There are four groups of reptiles: lizards and snakes; turtles and tortoises; crocs and alligators; and a funny little group called tuataras. Each two-page spread includes a detailed photo of a featured creature, a description about their life and behavior, a “facts” box and additional cool things to know. For example: did you know that there really are dragons? And there are lizards that look like worms? 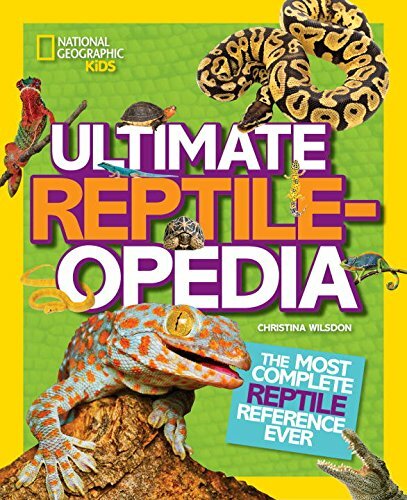 The book ends with an interview with a herpetologist – that’s a scientist who studies reptiles – and a discussion about what you can do to help save reptiles from extinction. I lucked out because National Geographic sent me two reptile books. This is one of the Mission: Animal Rescue series that focuses on saving animals in danger. Habitat loss, hunting, and other human activities are threatening many animals – but this book points to ways children can help turtles and other animals. The thing is, learning about sea turtles means getting wet … so the author takes us into the ocean to show us how they live and grow. 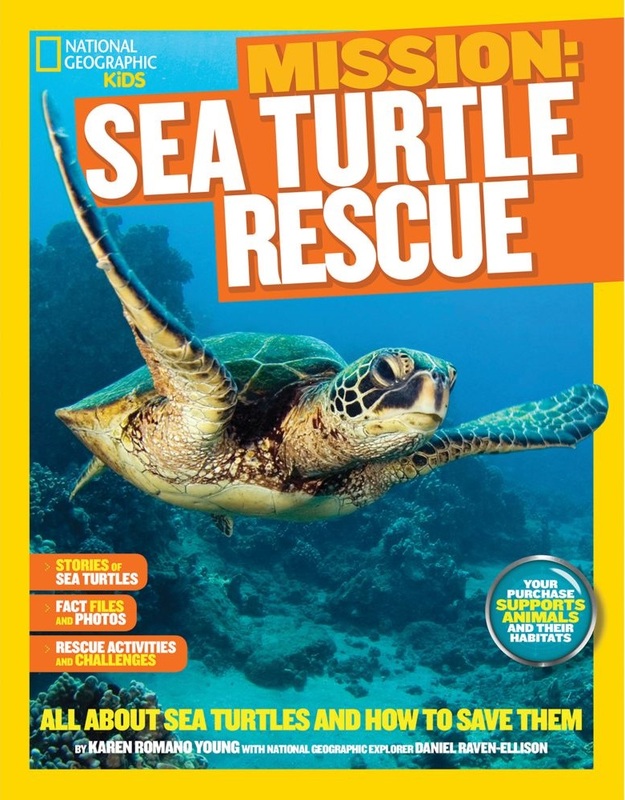 Head over to Archimedes Notebook to read more of the review and leave a comment to enter for a chance to win a copy of Sea Turtle Rescue. What in the world comes one by one? So begins this innovative counting book. From one to ten, in rhyming couplets, Nancy Day explores sets of things in nature: legs, arms, flowers. I love how she uses three parts of a bee’s body (head, thorax, abdomen) to invite readers to look more closely at insects. There’s another reference to insect legs (6) but when she gets to 8 it’s not spider legs she’s counting, but octopus limbs. 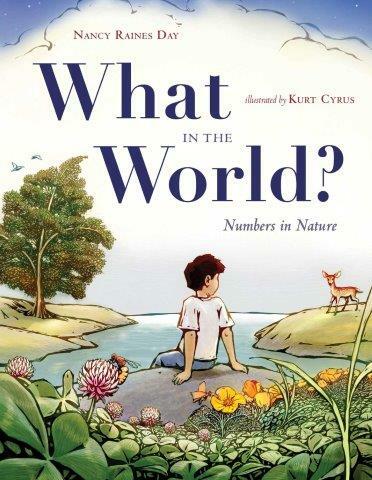 This is a perfect book for engaging children in counting and observing the natural world around them. Why not head out on a counting walk? How many legs on a bird? How many wings? Where can you find five of something in the natural surroundings of your neighborhood? 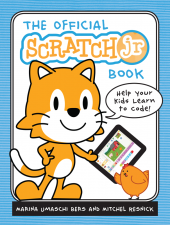 Sadly, I don’t have an iPad or Android-based tablet, so I was unable to download the ScratchJr app to test it, but judging by the book and my experience with Scratch, I’m sure it’s a wonderful tool for inspiring creativity and logical thinking. If at first there was a great rush to teach kids to code, there is now a push in the opposite direction. Just Google “Should kids learn to code?” and you will find a wealth of opinion on either side. Personally, I liken the “argument” to car repair. In days gone by, many people knew how to do most repairs on their automobiles. Now, cars’ systems are so intricate, that most people have trouble doing anything other than the simplest of repairs. Most people have cars. Should we know how to repair them? No, I don’t think so. There will also be a need for an auto mechanic. But, knowing how to change a flat tire sure comes in handy! If working on cars appeals to you, become a mechanic. The same is true of coding. Give it a try. If your kids are looking for a follow up to the Frozen Hour of Code project, “Code with Anna and Elsa,” The Official ScratchJr Book is probably a good place to start (if you have a tablet that can run the ScratchJr app). I’m going to pass my copy along to my school district’s media specialist. The kids have Chromebooks and should be able to make good use of it. Copyright © 2016 L.Taylor at Shelf-employed. All Rights Reserved. Categories: STEM Friday round-up, Technology | Tags: programming | Permalink. If you have a young reader who loves mysteries, technology, invention, science – a kid who thinks that someday she will want to be a doctor, put this book in her hands! Or his hands. Author Jim Murphy tells the story of one of the first successful heart operations ever performed. It’s about the medical breakthrough that not only saved the lives of tens of thousands of children but also opened the way for future heart surgeries. And it took place in 1944. An unlikely team performed this high-risk surgery: surgeon Dr. Alfred Blalock; pediatric physician Dr. Helen Taussig; and African-American lab assistant Vivien Thomas. 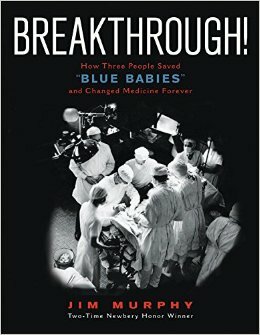 Blalock received the fame, but it was Thomas who developed and perfected the surgical technique to repair the hearts of children born with “blue baby” syndrome. In fact, he was the only person who had ever carried out the surgery successfully on a research animal. Most of the people working at Johns Hopkins had no idea of Thomas’s genius – many of them thought he was a janitor. You can read the full review at Archimedes Notebook. 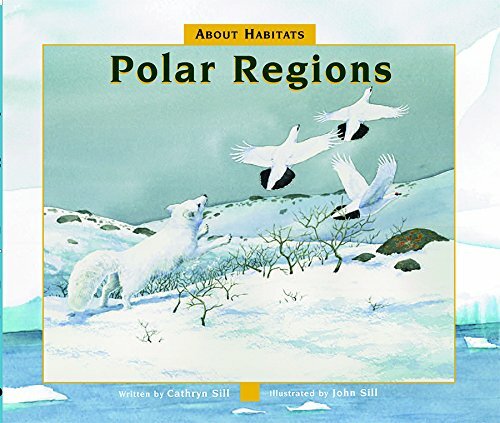 What a great addition to the Sill’s “About Habitat” series – and a perfect read for winter. Like other books in the series, Polar Regions highlights the diversity of the icy places on either end of our planet. Each spread focuses on a single aspect of a polar region, with simple text on one page and detailed illustration on the other. I love the contrast between north and south poles. The area at the North Pole is made up of frozen ocean with land all around, writes Cathryn, while the South Pole is made up of a huge area of frozen land with ocean all around. I’ve looked at maps and globes since … forever, and never really paid attention to this difference. Each spread features a different animal, telling whether it lives in the Arctic or Antarctic: penguins (Antarctic), Polar Bears (Arctic), seals, narwhals and more. Plants and animals have adaptations that allow them to live in these cold and windy regions. But most animals don’t even live on land; they live in the ocean. What I love about these books is the back matter – six pages of additional information that deepens our understanding of polar regions. That’s where you find out more about the auroras, how thick the Antarctic ice is, what permafrost is, and why it’s important to protect these harsh, yet fragile habitats.